After childbirth, many women believe they will be filled with happiness and joy. Finally holding their baby is something many mothers look forward to after childbirth. However, after the initial excitement, the postpartum period can quickly devolve into a nightmare called postpartum depression. Rather than slipping easily into your role as a mom to your new baby, you’re filled with feelings of anxiety, depression, sadness and even anger. It’s unclear what causes this condition. Hormones and the drastic changes in routines that happen after giving birth may be partially to blame. However, there are many factors involved that may affect whether you’ll experience the condition. Some things that may increase your risk include a past history of depression, having experienced a stressful event, a poor relationship with a partner and even your culture. What is clear is that it’s a common condition. 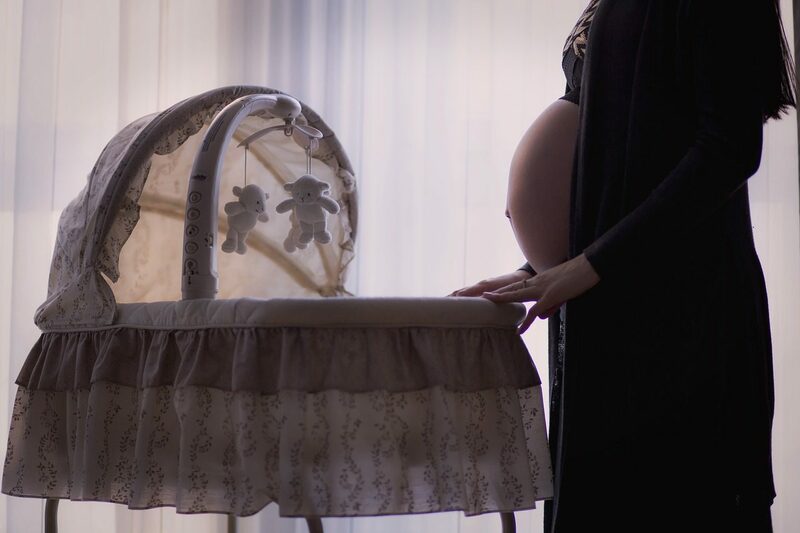 About 10 to 15 percent of women go through a depressive episode in the three months after giving birth, but if minor episodes are also included, as many as 1 in 5 women may be affected. Many researchers believe that postpartum depression is underdiagnosed, meaning it may be even more common than what studies are showing. It Goes On and On Up to 80% of new moms experience the “baby blues” which is a short term condition involving moodiness, irritability, feeling overwhelmed and exhaustion. However, this condition usually passes within a few weeks. You Don’t Feel Right Postpartum depression usually involves more intense feelings of hopelessness, sadness and despair than the baby blues. Other common symptoms include not feeling connected with your baby, feeling like you’re not doing a good job as a mom and struggling to eat or sleep well. Even if you end up coming to the conclusion that you probably do have postpartum depression, there’s some good news: it’s often quite treatable, especially when it’s addressed early. While it’s not pleasant or easy, you can overcome postpartum depression. It’s not your fault you’re experiencing this condition. Remember, many other women also go through postpartum depression. Admitting what you’re feeling and asking for help isn’t weakness: it’s actually the best way to ensure a happy, healthy life for your baby. Your newborn needs a healthy mama and by getting help you’ll likely start to feel better within a few weeks. It’s important to talk to your healthcare provider about what you’re experiencing. Once you have a diagnosis, you’ll have support from a professional who can direct you towards the road to recovery. The most effective treatments often include therapy or counseling. With the help of a counselor, you’ll get the emotional support you need while also learning techniques and strategies for managing your symptoms. Your healthcare provider may also recommend medication, usually in combination with therapy, which can also make a big difference in how you feel. A qualified mental health professional will also be able to help identify and address your unique postpartum issues which may involve more than just depression. Other common mood disorders in the postpartum period include anxiety, obsessive-compulsive disorder and post-traumatic stress disorder. If you’re in a relationship, the support of your partner will make a big difference in how you feel. In addition to talking about how you’re feeling, it can be helpful to have a united front as parents. Discuss ways that you and your partner can divvy up the responsibilities of taking care of the baby. This may help especially if you’re feeling overwhelmed and anxious about meeting baby’s needs. Your partner may also be able to help make sure you’re taking care of yourself. You can do meal planning together to ensure that you’re eating well. Also, make sure that you each have time for showering and enjoying hobbies without having to worry about the baby. You can schedule in time on your calendar for each of you to have a few hours off each week so that you can engage in self-care activities such as exercising, seeing friends or just taking a nap. Beyond seeking support from your therapist, partner and close family members, you may also benefit from reaching out to other new mothers. There may be postpartum depression support groups available in your area or online that can help you on your journey. Talking to other moms will help validate your feelings and remind you that you’re not alone. Remember to reach out to friends and take time for social interactions, even if you don’t really feel like it. When you don’t feel isolated and have enough emotional support, your symptoms can improve significantly. Exercise has many proven mental health benefits. Even if you don’t feel like going to the gym or even leaving the house for a walk, if you force yourself to get started, you may find that it helps immensely. All forms of exercise are great including walking, jogging, dancing or even gardening. Postpartum depression is a serious condition that can drag on for months if left untreated. In some cases, it can also turn into a chronic depression that extends well beyond the postpartum period. However, with the help of supportive people in your life and your healthcare team, you can control your postpartum depression and recover completely. You’ll enjoy your life as a parent and delight in your kids again. Although it may feel hard, you can start the road to recovery just by speaking up. The good thing is that today many OBGYNs and other healthcare professionals are much more familiar with this condition and are well-prepared to respond. Some now even perform routine screenings for postpartum depression for new mothers, meaning you can get treatment sooner and without even bringing it up. But, never wait to be asked! Tell your loved ones and healthcare professionals about what you’re experiencing so that you can get help and begin to enjoy motherhood as soon as possible. What helped you when you were facing postpartum depression? We’d love to hear your story.